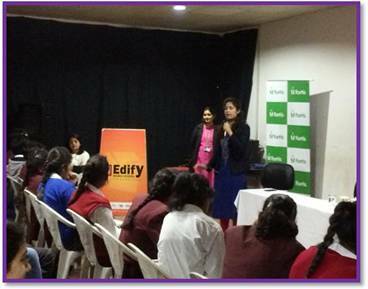 The Department of Mental Health and Behavioural Sciences at Fortis Escorts Hospital, Jaipur organized an interactive session on Study & Exam Stress Management for students of Edify World School, Jaipur. Championed by Clinical Psychologists – Ms. Apurva Mathur and Ms. UditaKaushik, the awareness session witnessed active participation from over 105 students. Students were seen actively participating in clarifying their queries related to management of preparation time, handling the exam pressure in a balance way, etc.